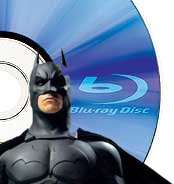 Warner Bros. (before ho’s) goes Blu-Ray exclusive. Is this the end of the blah blah blah? Blah blah. Blah. 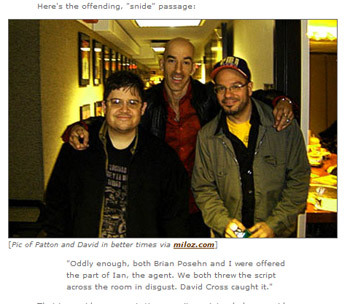 And the whole Patton Oswalt, David Cross “Alvin and the Chipmunks” thing was an inside joke that David Cross forgot because of marijuana. Now everyone can hug and kiss and make up and make out. 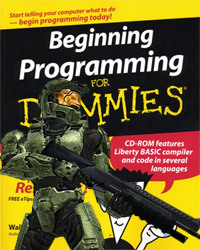 Could you explain Programming, please? 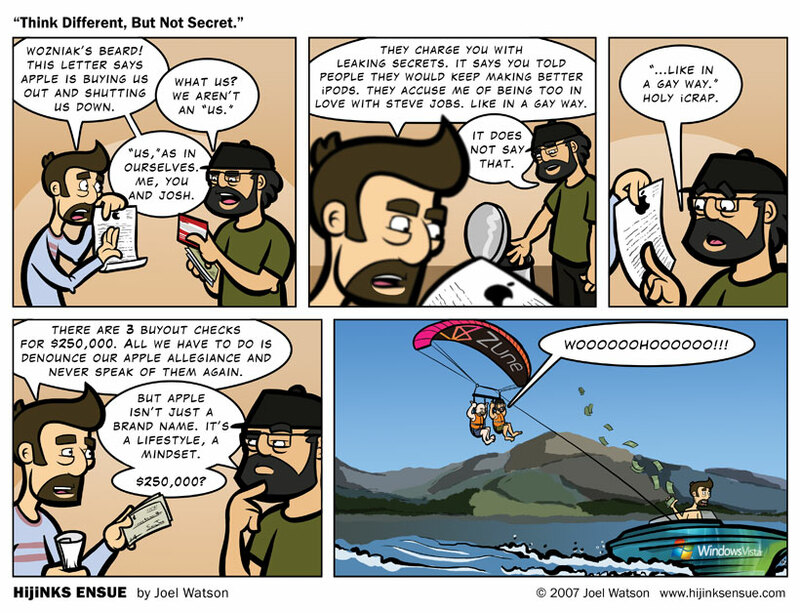 Think Different, but not Secret. This was many years before my conversion to the teachings of Steve. Even in my ignorance I knew Think Secret was some sort of player in the hardware super spy game. Dangling from a ceiling harness, lifting the microfiche off of the desk of a sleeping Steve Jobs. He would awake moment too late, press the giant red…no, white button on his desk and call for a Cupertino-wide lock down. “It must have been that dastardly double agent from Think Secret!” Steve would say as giant steel doors would slam down over the windows and exits. I really hope no one is calling “sell out” on this guy. 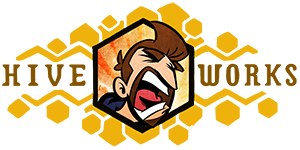 Faced with the options of a crippling lawsuit from a multi billion dollar company that would leave you financially raped and ruined or a nice fat check and something cool to put on your resume, I think we ALL would take option B. It seemed like Steve-O was on a killing spree when Fake Steve Jobs reported that same thing was being done to him. Turns out it we were all suckers and it was a big fat lie. When you can’t trust a formerly anonymous blogger who impersonates a tech-celebrity online in a mocking fashion to be completely honest all the time, you can’t trust anyone. Especially anyone who’s first name is “Fake.” And to think… I Dugg for him.